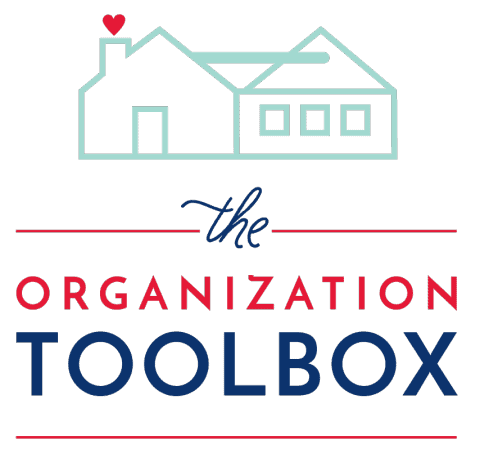 I’ve said it before, but it certainly bears repeating: organization is a constant process, never an end state. 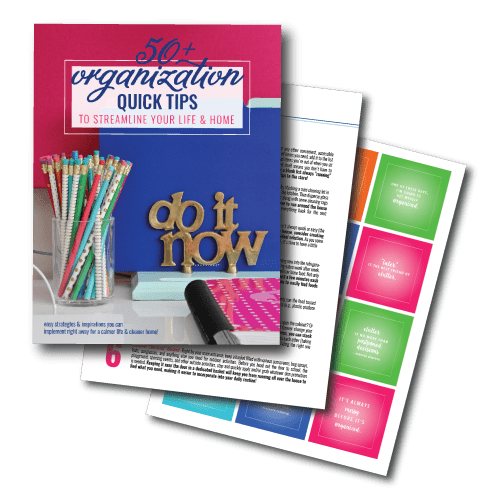 Rarely can you organize something “once and for all,” and never need to adjust, assess, refine or reimagine your systems or solutions. 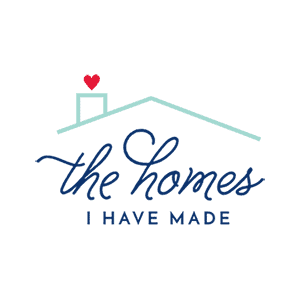 Our lifestyle often requires us to readjust our systems continuously: home layouts, kitchen amenities, and storage spaces (just to name a few) vary significantly from home to home…so much that we often have to reorganize many things from scratch each time we move. 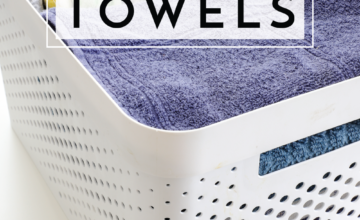 But even if you aren’t settling into a new space every few years, a household’s needs, dynamics, schedules, and the amount of stuff inside it constantly evolve; meaning, eventually, things won’t always work as well as you need them to or may even stop working all together. 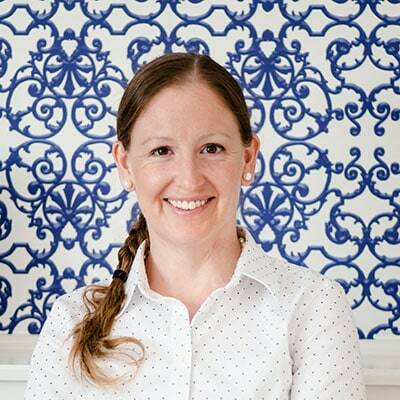 In these instances, you need to revisit your system, assess what’s working and what’s not, and come up with a new solution that will work moving forward. This process happens all over the home and in life, in big and small instances. Some are quick and easy fixes, others not so much. 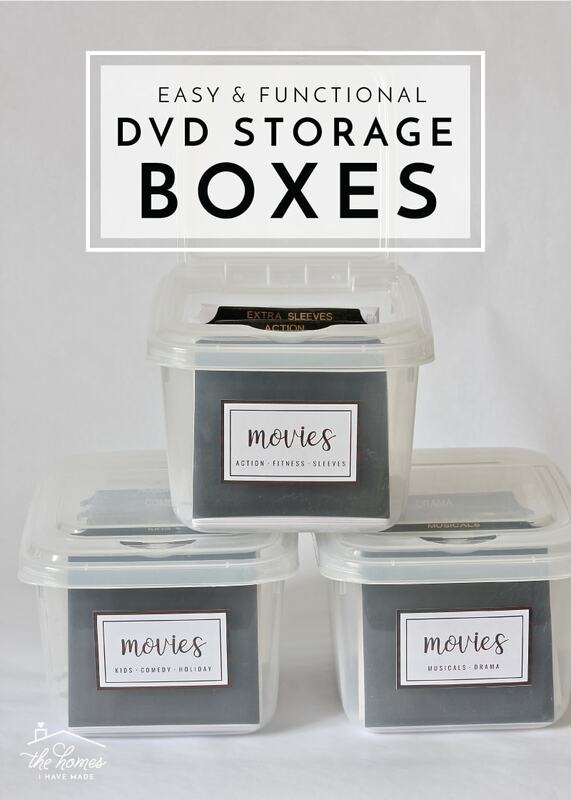 Recently, I decided to give a much needed, quick and easy update to our DVD storage boxes. The results are working so much better for our family, and I can’t wait to show you what I did that made all the difference! 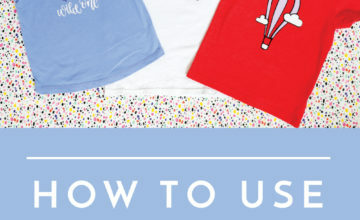 Raise your hand if you’ve been reading the blog long enough that you recognize this old project!!! 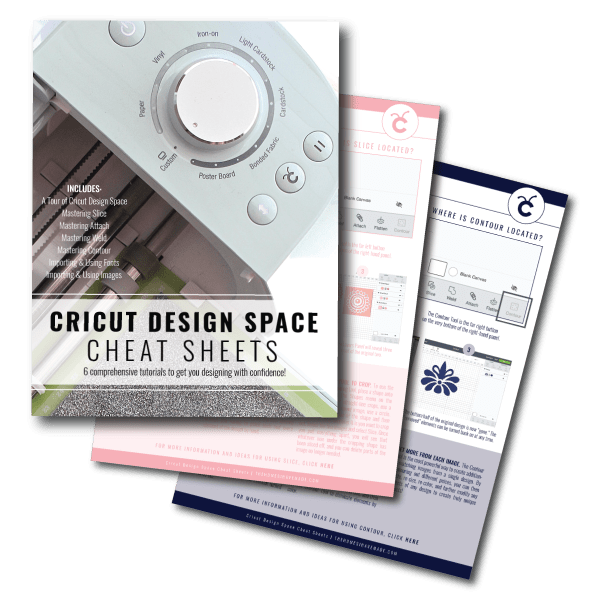 Over four years ago, I made the decision to ditch all of our DVD boxes (because they take up so much more space than necessary) in favor of paper envelopes (a switch I highly recommend!). 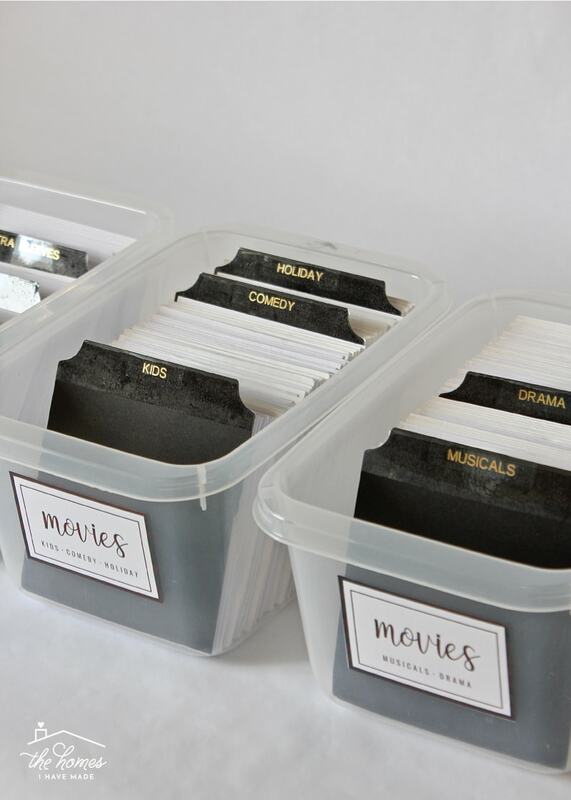 I organized all the movies by alphabet, created some cute little dividers with some cardstock, loaded them all into some canvas totes from Target, and tucked them under our media cabinet. We kept the system you see above in place ever since; but honestly, I never really loved it. 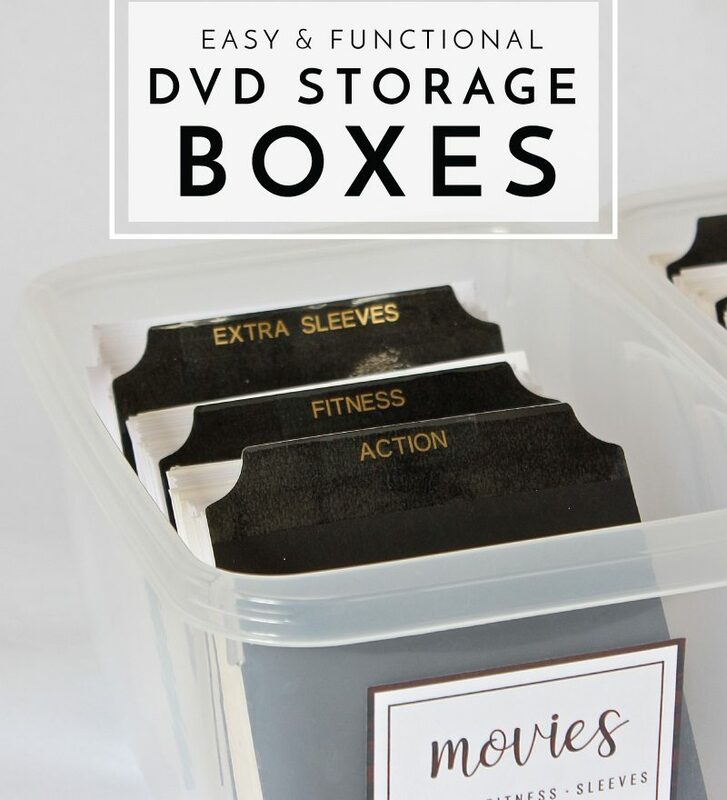 I certainly liked the compact, neat and clean look of our DVD totes tucked under our media cabinet, but the functionality was definitely lacking. For one, there were times when I couldn’t remember how I filed movies with “The,” “A,” or numbers in their titles, causing me to hunt around for them more than necessary. I also grew weary of trying to maintain alphabetical order within each tab. Those paper tabs weren’t the sturdiest; and after two moves, those totes weren’t so sturdy either. In general, our little system had fallen apart and needed a more functional, better looking, and sturdier upgrade! In an afternoon, I achieved all three! 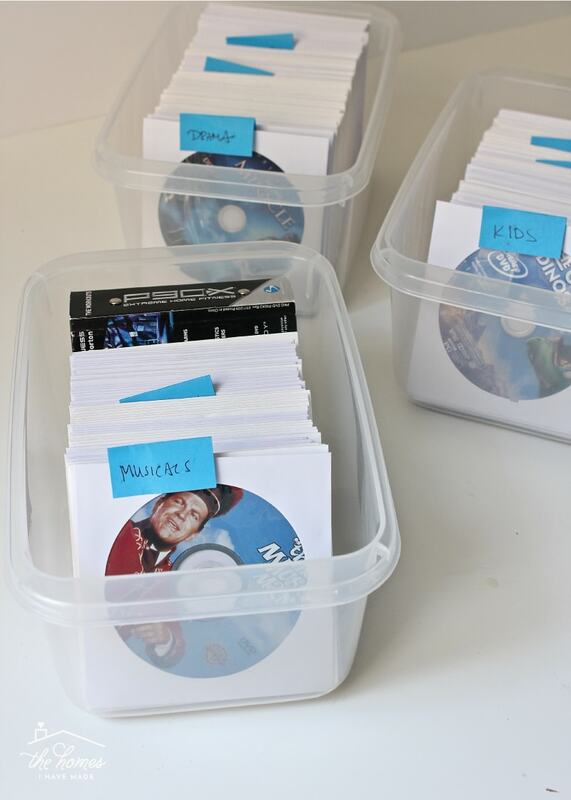 Like with any project, I started by emptying out our original DVD bins and sorting all of our DVDs to get a sense for what we had. I then discarded the old dividers and damaged totes, piled up empty envelopes, and pulled out any duplicates or movies that didn’t belong to us. It took some more experimenting to figure out which stacks needed to go into which boxes so that everything fit comfortably. 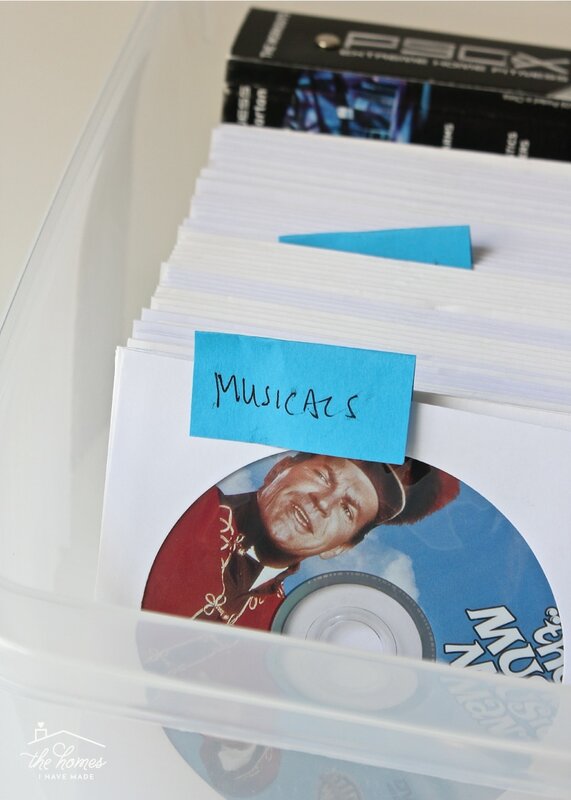 You’ll notice I used simple sticky notes to keep track of which stack was which. I never make fancy labels until the very end…just in case something changes along the way. For example, I was able to get all my categories to fit into three boxes. But if I needed to combine or expand groups to accommodate the bins, I would have to remake my labels had I made them first! 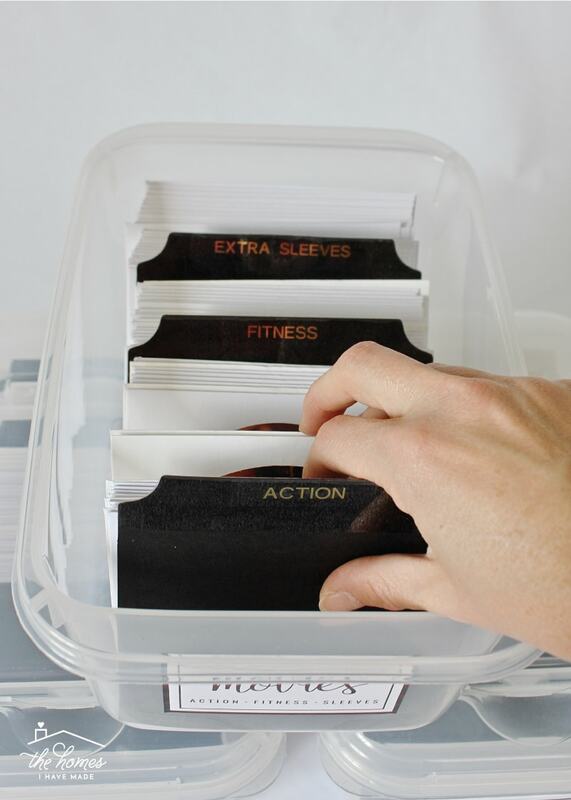 Once everything is sorted, purged, and in place, it’s finally time to embellish the organization system with labels! Not only is this the most fun and creative part of any organization project, but labels hold you accountable in maintaining your new system! The dividers worked fairly well in our last system, but I knew I needed to resize them to fix these boxes and make them a little sturdier to hold up to frequent browsing. I started by experimenting with various sizes of rectangle-shaped cardstock to see what would fit in the box, but also give me some clearance for a label. 5 x 5.75″ turned out to be the right dimensions for my boxes, but I suggest you also experiment to figure out what size fits most comfortably in whatever boxes or bins you use. 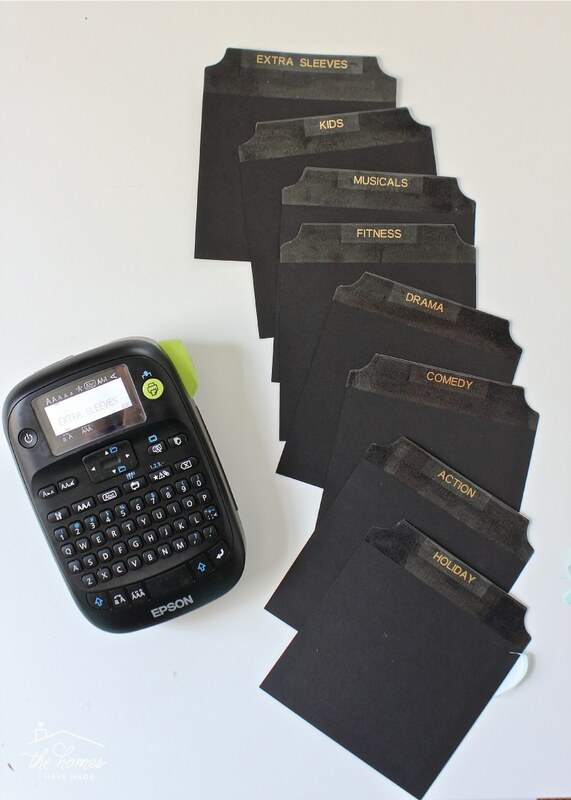 With my dimensions in hand, I turned to my Cricut Explore to create some simple tabbed dividers out of black cardstock. 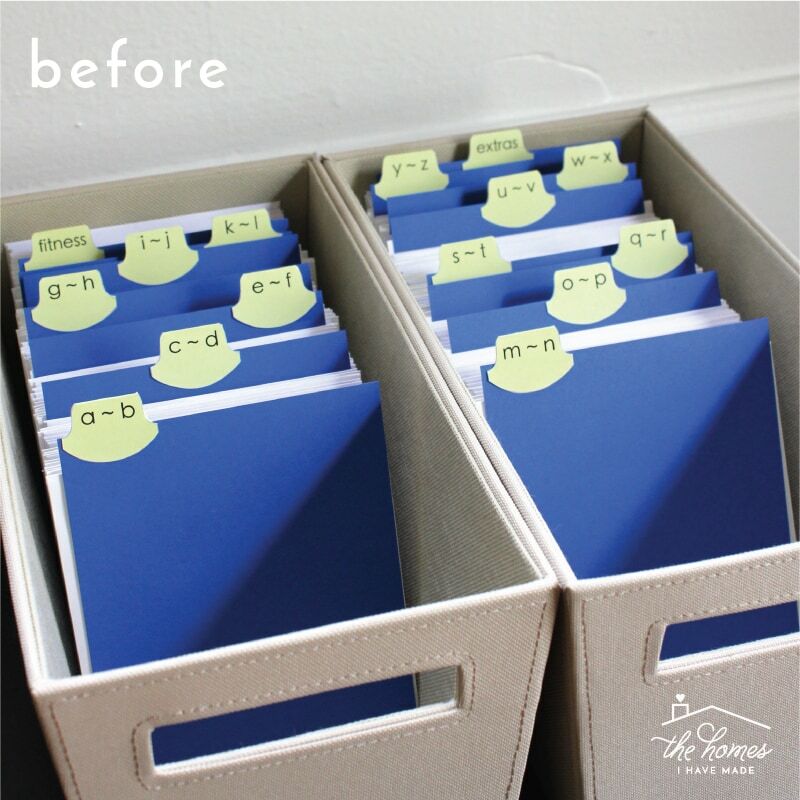 (Full tutorial for making your own tabbed dividers coming in the New Year!) 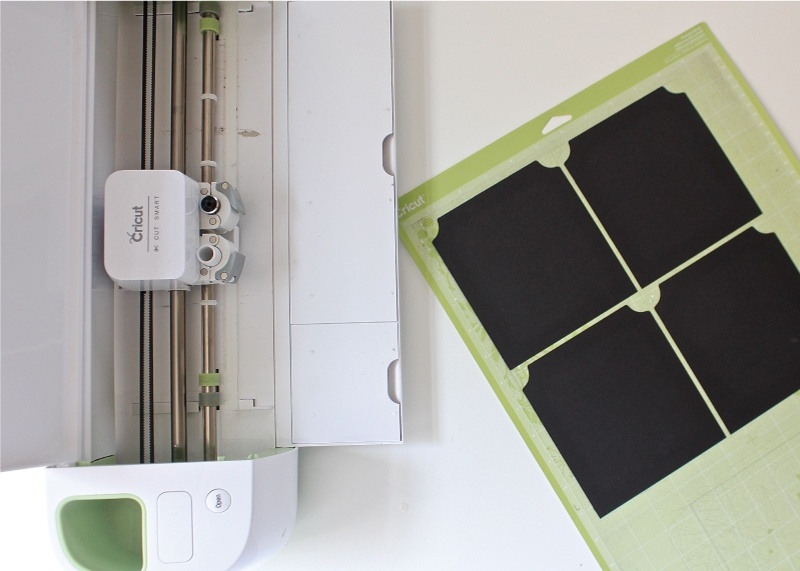 Even without an e-cutter, you could easily replicate a similar design using a paper trimmer and scissors. 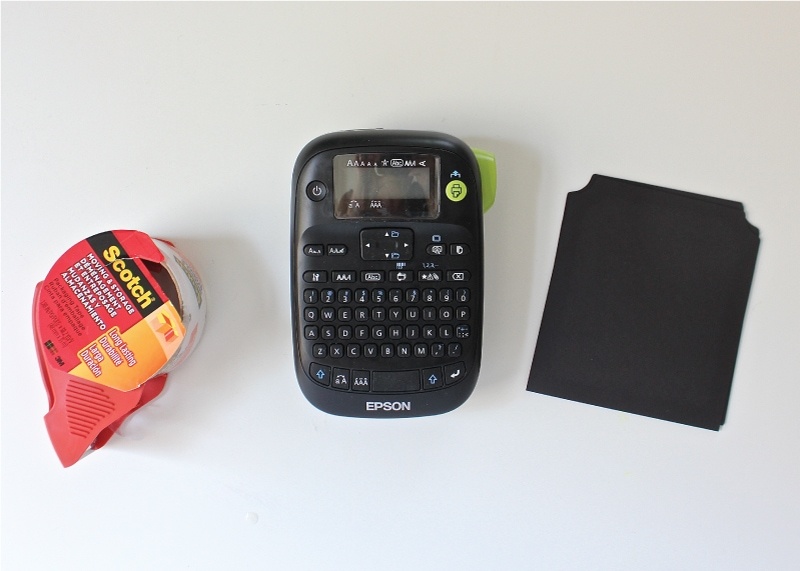 Plastic packing tape gives a little bit more durability to plain cardstock. 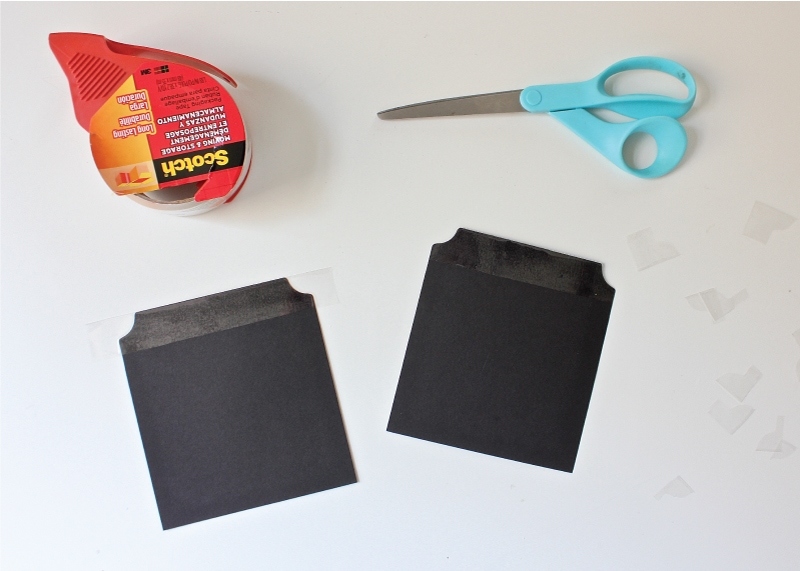 Simply fold a stretch of tape over the top, smooth out any bubbles, and trim away the excess. To finish the dividers, I added gold labels on clear tape to match the categories I identified on the sticky notes earlier. …and trimmed them down with a paper trimmer. 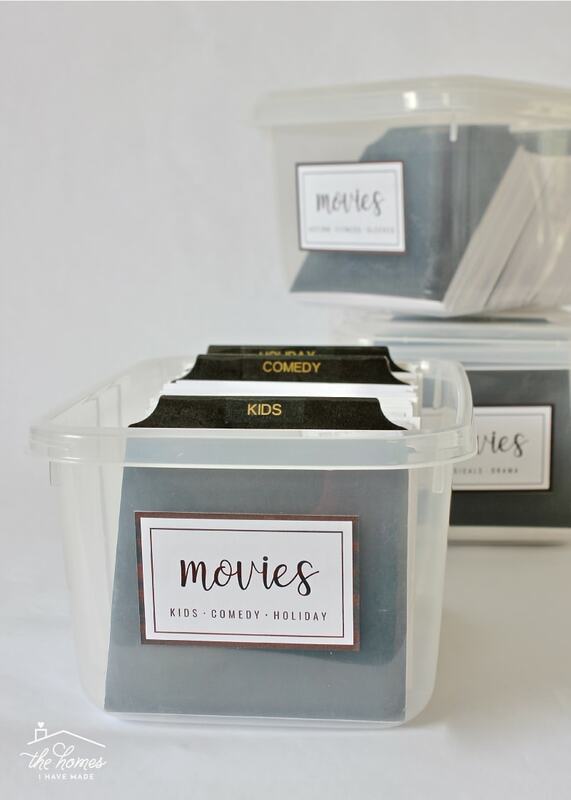 Since the movies were already sorted and loaded, all I had to do was replace the sticky notes with the new labeled dividers and stick a label on the front of each box! 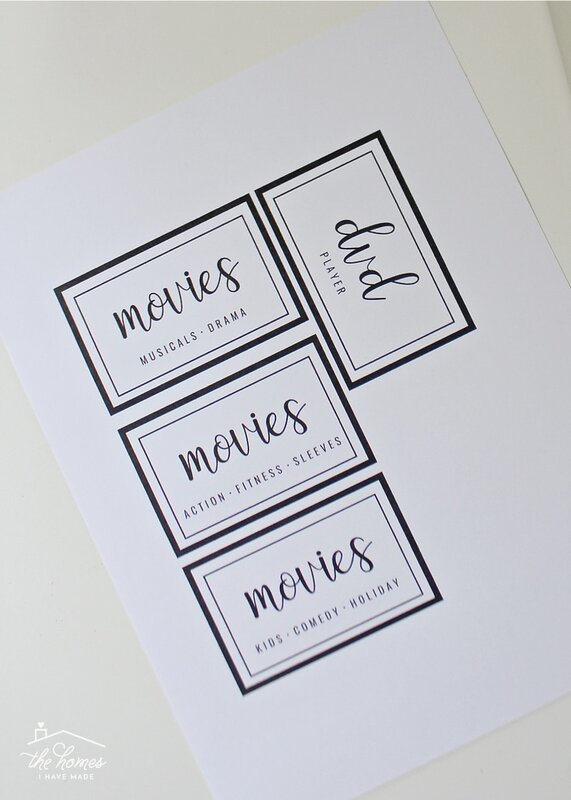 Now, flipping through and finding movies is quick and easy! 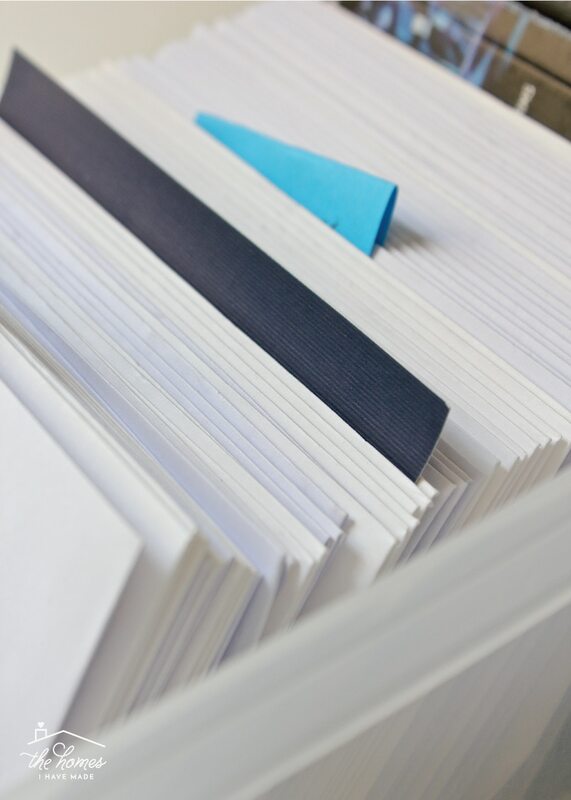 The labels on the outside of the boxes help us know which box to grab; the sturdy dividers are helpful for keeping stacks of identical white envelopes separate; and the categories are easy and intuitive. Finally, the boxes are clean, clear and stackable…and much more likely to survive a move! I know I say every system eventually needs to be revisited, but I think this one might be set for a good long while! There’s two more quick notes I want to mention before I sign off. Although I love to label, you’ll notice I didn’t label the envelope sleeves. Honestly, there is no reason to. The DVD title is clear and easy to read through the cellophane window on the envelope. 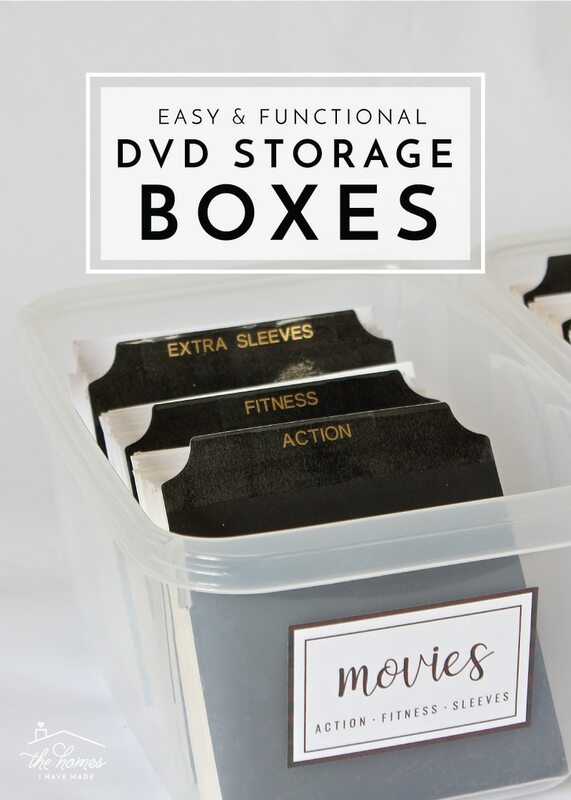 Also, since the envelopes aren’t labeled, it is very easy to swap out movies/envelopes…take a new movie out, simply slide the finished one back in to any empty envelope and recategorize. 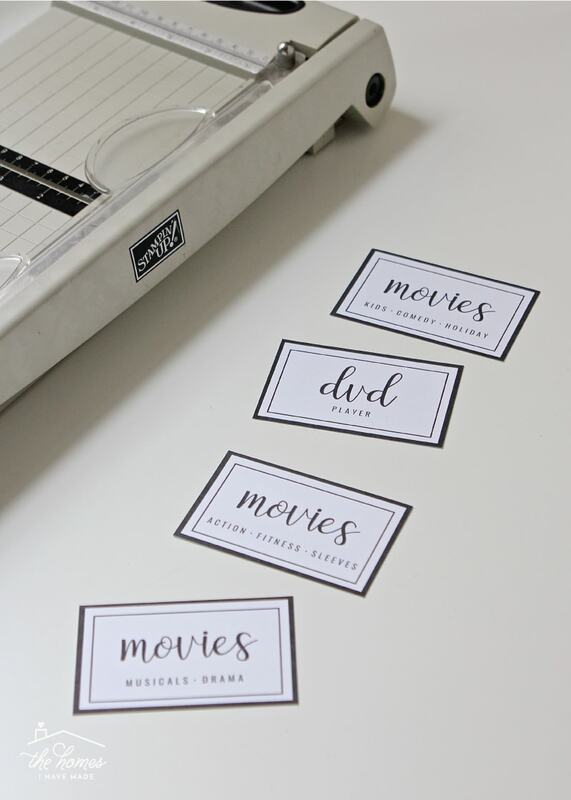 There’s no reason to make yourself crazy trying to keep track of which envelop goes with which movie! Finally, oftentimes I like to build in “extra space” to our storage systems to give us room to grow. However, this is one collection that I don’t see growing substantially, if at all. We’ve started buying all of our movies digitally so that we can access them anytime, anywhere. I do keep extra sleeves on hand in case we are gifted a DVD or we borrow from a friend. But in general, these three boxes should be able to hold our collection for the foreseeable future! These storage boxes have been put back under our TV cabinet, and that too has been given a very pretty makeover! 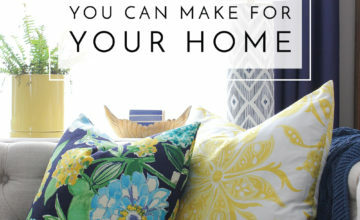 I’ll be back here sharing that next week along with an easy DIY gift you can make for anyone on your list! Have a great weekend, friends!